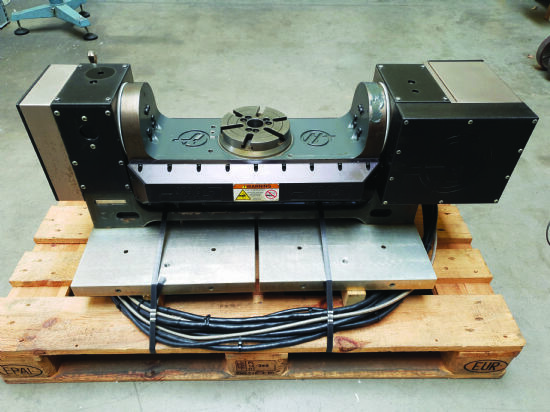 Researchers at the Fraunhofer Institute for Machine Tools and Forming Technology (Fraunhofer IWU) have developed a system and a procedure called SEAM (screw extrusion additive manufacturing) that is eight-times faster than conventional 3-D printing. This 3-D printer works with competitively priced raw material; and with a hot nozzle that is 1mm in diameter, it can process up to 7kg of synthetic material per hour. Fraunhofer IWU (www.iwu.fraunhofer.de) says this compares with only 50gm per hour for comparable 3-D printing procedures like FDM (fused deposition modelling) or FLM (fused filament modelling). materials “up to several metres in size, reducing material costs as much as 200-fold”. In tests, the system has worked on a wide variety of synthetic materials, ranging from thermoplastic elastomers to high-performance synthetic materials with 40% carbon fibre. These materials are in particular demand in industry and cannot be processed using conventional 3-D printers. 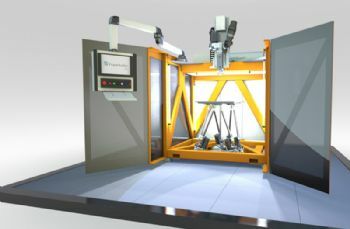 SEAM was unveiled to the public for the first time at the recent Hannover Messe trade fair (1-5 April). 2011 HAAS TR 160 Trunnion Unit.